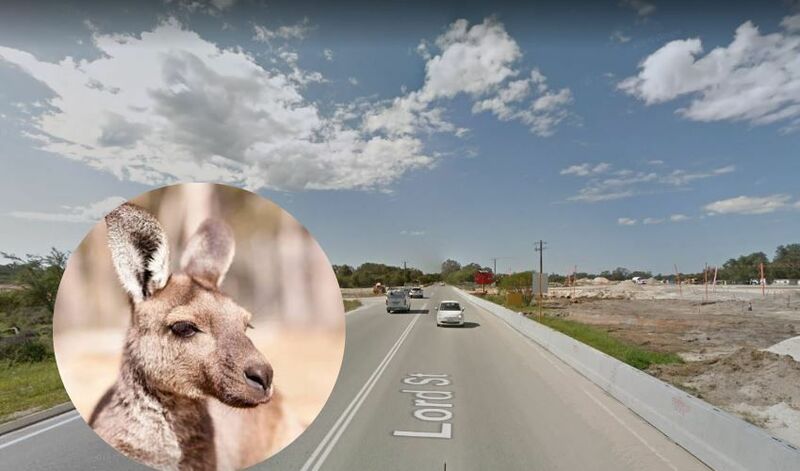 MAIN Roads WA will construct a fence on the east side of New Lord Street, after almost 30 kangaroos were killed along the stretch of road. Since the first section of New Lord Street between Marshall Road and Park Street opened to traffic on April 4, Express Wildlife Rescue owner Andrea Marzi told the Reporter there had been 27 deaths. Ms Marzi said kangaroos were locked in the section between the Whiteman Park entrance and Lord Street for months during construction. Main Roads has been working in conjunction with Whiteman Park Management since 2016 to manage potential impacts of the New Lord Street Project on wildlife surrounding Whiteman Park. There have been 27 kangaroo deaths on New Lord Street. Main Roads spokesman Dean Roberts said there had been a “much higher than expected impact on kangaroos”. “As a result, Main Roads met with Whiteman Park management on Thursday, April 11 and it was determined that a fauna fence will be installed along the east side of New Lord Street between Youle-Dean Road and Cranleigh Street,” he said. “Prior to opening of stage one of New Lord Street, speed reductions were put in place, additional wildlife signage installed, and variable message boards installed where kangaroos were residing. Mr Roberts said the monitoring of kangaroo movements and migration patterns was on-going, including on the west side of New Lord Street where a fence might also be installed if deemed necessary. “Typically, kangaroos are not moving east from Whiteman Park,” he said.